Have you encountered the YouTube 'Missing Plug-in' problem while using Chrome to watch YouTube video? This article will show some easy ways to fix this problem and keep from happening in the future. As you may know, YouTube uses Adobe Flash Player to stream videos to you. That's why you need Adobe Flash Player plugin to see YouTube video. Although Flash will probably replace by HTML5, it's not the time now. Sometimes, YouTube 'Missing Plugin' problem happens only because the Adobe Flash Player crashes. Therefore, just close it and refresh the page to have a try before reinstalling Adobe Flash Player, restarting Chrome, clearing Chrome history or rebooting your computer. 1. Go to Tools > Task Manger by clicking the button in the top most right corner, or Shift + ESC keyboard shortcut. 2. 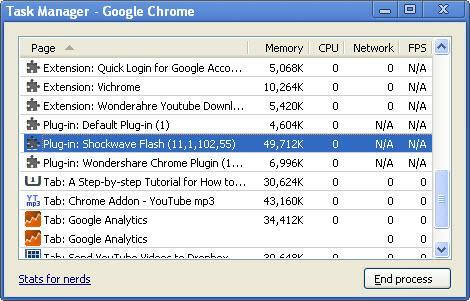 Locate the "Plug-in: Shockwave Flash" and click END process. 3. Refresh the page. Press F5 and it works. 4. If this doesn't works, see how to install Adobe Flash Player to fix Missing Plugin issue. Make sure your browser comes with the latest Adobe Flash Player. To check it, go to http://get.adobe.com/flashplayer/. You will be informed that the latest version of Flash player plugin has been installed or a Download button should appear. Click it to install the new Flash Player plugin. If reinstalling Adobe Flash Player can't resolve the problem, try restart Chrome or computer to try it out. 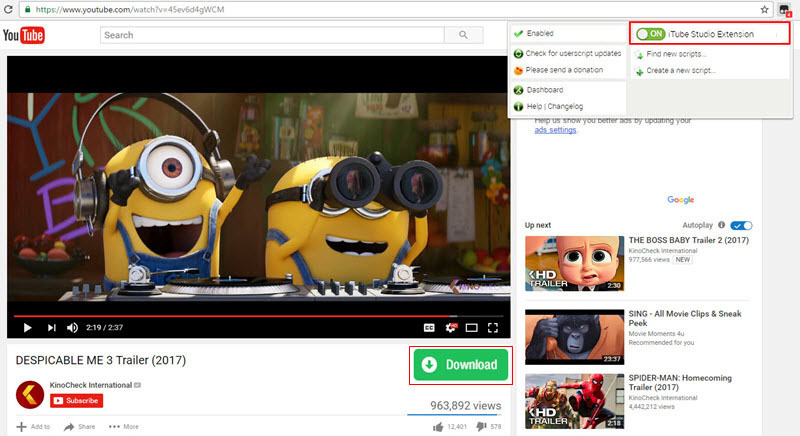 Instead of playing YouTube in Chrome, if you have downloaded YouTube videos to computer, you could play it anytime and anywhere without browser. 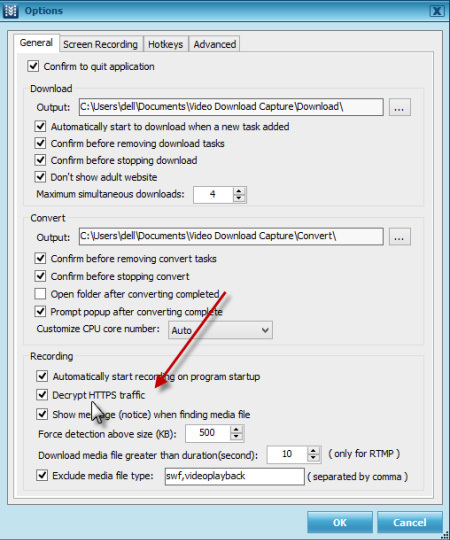 There are many Chrome youtube downloader in the market. Here I humbly recommended iTube Studio which can download from 10000 video sites and works seamlessly with Chrome. It can download YouTube videos in bulk and convert YouTube to any popular video or audio format. Plus, a built-in YouTube video player lets you play downloaded YouTube videos offline so that you don't have to install any codec or viewer. What's more, it has the built-in browser which you can search the video resource directly and you don't need to open Chrome any more. For example, you can search www.youtube.com and find the video which you want to download. After you click to view the video, then a "Download" button will appear to let you download the video directly. Built-in browser to search and download videos directly. Private Browser: Best 10 Private Browser App for Android, iPhone, etc.